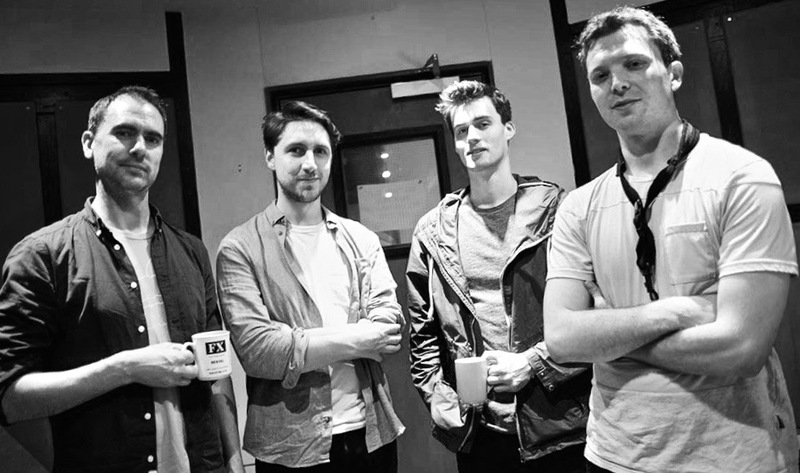 The Tom Neale Quartet play emotive and dramatic music drawing influences from jazz, hip hop to rock to create a unique instrumental soundscape. Formed in 2016 by Tom Neale, the band features some of the most in inventive young musicians to emerge for the UK jazz scene. Tom Neale: Alto Sax, Aubin Vanns: Electric Guitar, Marcus Penrose: Electric Bass, Ben Brown: Drums. Centred around Tom’s compositional approach, the band commit to musical excellence, by fusing exhilarating improvisation, meditative beats, captivating melodies and luscious harmonies to transport the listener to a realm of enduring ambience. “For the last ever gig at Cafe Lento it had to be the Tom Neale Trio- Tom on alto, Sam Gardner on drums and Sam Watts on keys- all LCOM ex-alumni. They had played the very first gig way back in 2008 so it was fitting they should play us out. And what a marvellous, celebratory evening it proved to be! Almost 70 people crowded into and outside of our tiny space to catch the brilliant playing of the trio, augmented by Marcus Penrose’s thrilling basslines. Playing many pieces from his latest recording Tom’s compositions were lyrical, dynamic and played with with such evident joy, skill and enthusiasm that you couldn’t fail to get that buzz you feel when experiencing really good , original music. An altogether amazing, unforgettable evening.